A couple with two young children, who were facing street homelessness in Scotland after being destitute for almost a decade, have been granted refugee status and the right to remain in the UK. Now the family – along with the organisations supporting them – are highlighting the need for changes in the system, which they say let them down by its failure to give them the protection they should have been entitled to. 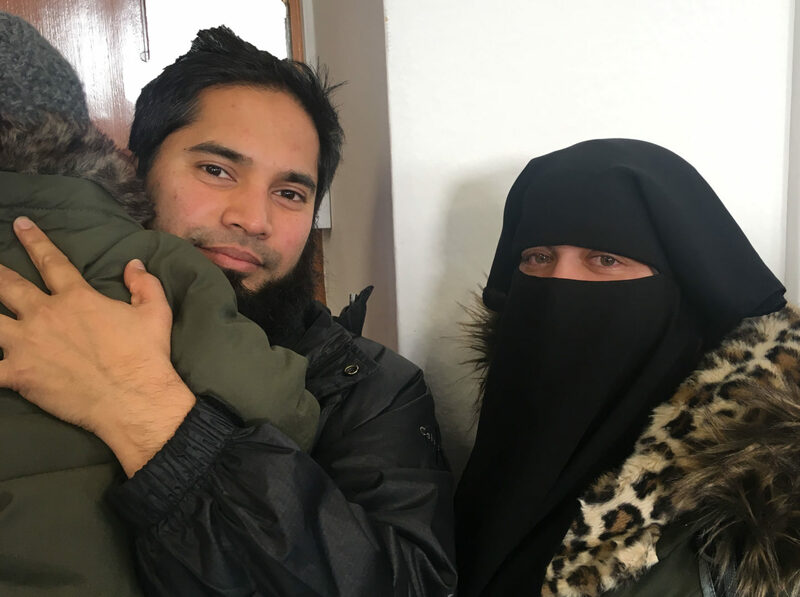 Mohamed Farook and Fathima Irshad, whose fight to have their right to refugee status recognised was reported by The Ferret in 2017, said they were “unbelievably happy” with the decision reached by an appeal judge in October. They are now rebuilding their lives and planning to start working to support themselves and their children as soon as possible. Farook is starting work as a football refugee and Irshad planning to launch her own cake baking business. Farook fled Sri Lanka in 2004 fearing for his life, and was later joined by wife, Irshad. The couple, who have continued to campaign online against human rights abuses in their former homeland, originally hoped they could return when the situation became less dangerous. When this was not possible they claimed asylum. However their case was refused because the Home Office said they had not put in a claim at the earliest opportunity. When appeals failed, they were left completely destitute. They spend a night under a London bridge and were taken in by charities, friends and strangers, living in 13 different addresses across the UK including an unheated garden shed in London. They were offered a room in Glasgow by a friend of a friend in 2016, after their son Sufiyaan – now two and a half years old – was born. His sister Shasmeen was born just over a year later. 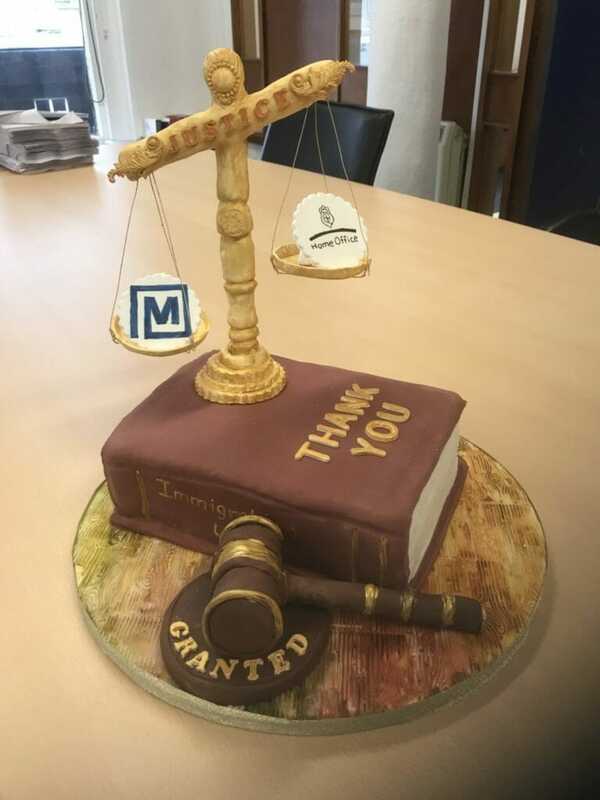 With the help of Euan MacKay, partner at Glasgow law firm McGlashan MacKay, they put in a fresh asylum claim. The case was again refused but won at tribunal in October. “In the 14 years I met so many solicitors, but they never did the proper work that he [Mackay] has done,” said Farook. “He properly understood my problems and my work. He was able to properly explain the problem [to the Home Office and to appeal judges]. That hardship included being refused help by both the Home Office and from Glasgow City Council after having to leave the flat where they were staying. Charity workers, who insisted the Home Office should have housed the family due to their active asylum claim and that the council was legally bound to provide a safety net under provisions in the Children Scotland Act, were shocked by the outcome. Farook said his experience with unsympathetic housing officers left him almost suicidal. The couple claim social workers later told them that they could accommodate only the children, though a council spokeswoman denied that the family would have be separated. She added:”We have policy and guidance in place for staff which allows us to offer support including accommodation in specific circumstances, in addition to signposting clients to the range of third sector partners providing support to individuals and families who are appeals rights exhausted. Finally the family got help from the British Red Cross, who took the unusual step of referring them to Positive Action in Housing’s Rooms for Refugee scheme. Without the help of their voluntary hosts they were facing street homelessness. Irshad first started baking to thank them. From there the idea for the baking business has grown, spurred on with help from online tutorials and reality television shows. Farook added: “We never gave up on our strength, on our confidence, our future plans. We had to fight until the end because we knew we had a case. When that was accepted we were so happy because we had reached our destination. Natalia Farmer, who supported the family through the Asylum Housing Support (ASH) project said: “To say that I was overjoyed when the family were granted refugee status would be an understatement. “Navigating such a lengthy and brutal immigration system alongside the unsuccessful battle to access support from social services was simply inhumane and pointless. The family were let down by those who should have provided essential safeguarding. “This not only highlights the critical need for efficient decision making from the Home Office, but also exposes the failure of social services to provide a vital safety net in relation to destitute families with no recourse to public funds (NRPF). Phil Arnold, head of Refugee Support in Scotland, said it was important to note that their case was not unique with many families having to go through unnecessarily protracted bureaucratic and distressing processes to get support they are entitled to. The Home Office was approached for a comment. Photo of whole family thanks to Angela Catlin.